The rose of youth with dew empearled. But now it withers in the blast. I see thy face in every dream. That falls along the summer sea. The blissful dream of long ago. 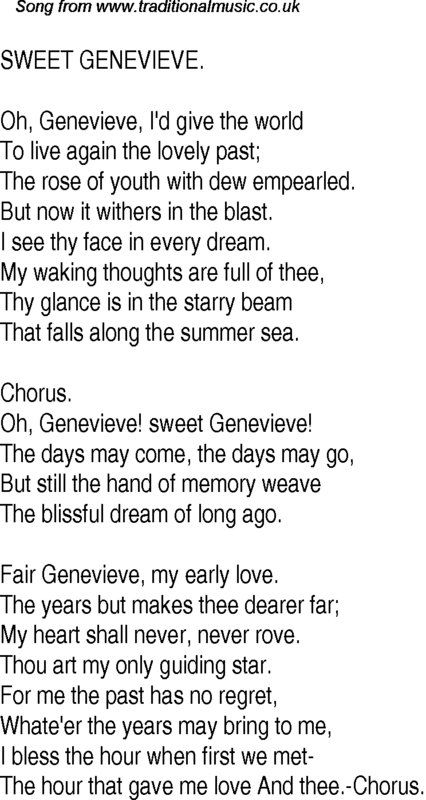 Fair Genevieve, my early love. My heart shall never, never rove. Thou art my only guiding star. The hour that gave me love And thee.-Chorus.